This was always going to be a bittersweet phone review for me, under the circumstances. The Samsung Galaxy S2 is without a doubt the best Android phone I have had a chance to use to-date for any period of time. It is a slick and wafer thin mobile device that in many ways seems to defy the very laws of physics. It is wicked fast and has an enormous screen and yet it is also super light to the point where you often forget its in your pocket. On many levels, Samsung have pulled off what I would call a major coup with the Galaxy s2 – it is a fine phone by any standard and for this reason its “sweet”. There is a good reason why global sales for the Galaxy S2 have exceeded 10 million units, thus far. The flip side to this review is the “bitter” aspect of having the Galaxy s2 for only 3 weeks or so. My good friends over at Samsung gave me the Galaxy S2 to review and keep. However, during a recent trip out of the country, under fairly bizarre circumstances, my Galaxy s2 was stolen from me. To say that I am still gutted a few weeks later would be understatement – I lost the best Android phone I have ever owned. This, coming from me who is a die-hard Apple iPhone fan is telling. I am still truly bitter! 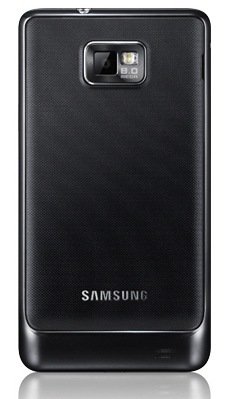 The Screen – the first thing that grabs you about the Galaxy S2 is the screen which is HUGE. It measures 4.3 inches making it almost “tablet-like” in how much real estate you have. However, it goes one step further in having a super AMOLED plus screen. This is the latest in screen technology which means its super sharp and vivid. Images and video seem to literally jump at you on the Galaxy S2 – its a marvel to look at! It also has Gorilla Glass meaning its a very durable screen that will not easily shatter should you happen to drop the phone accidentally. Packaging – I am pleased to say that the overall finish and feel of the Galaxy S2 is an improvement over the original Galaxy S. It has a “squarer” finish and is not only lighter but it is also easily one of the thinnest high-end smartphones in the Kenyan market today. It terms of buttons on the front, it has a “minimalist” look. Unfortunately, once again, one still has a “plasticky” feel with Galaxy S2 which was the case with the Galaxy S although this is something I got over in no time. I still wish Samsung would pursue a more hefty and metallic finish for its high-end smartphones like HTC and Apple do. The Processor – The Galaxy S2 comes with a 1.2 Ghz dual core processor meaning it is not just fast but really fast. What this means is that you can zip through applications and multimedia functions with no fuss. Everything really moves a lot faster on the Galaxy S2 compared to any other Android phone I have used in the past. 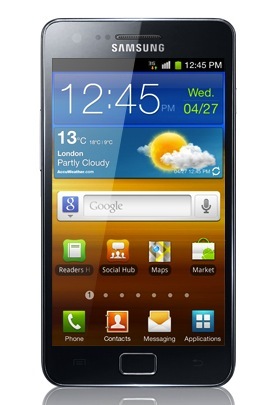 In addition the Galaxy S2 runs Android 2.3 which is one of the newer and better flavors available in the market today. Camera – The camera on the Galaxy S2 is a gem. It’s an 8mp camera which is an improvement on the original Galaxy S that had a 5mp camera. In addition, the Galaxy S2 comes with a camera which is super handy for those low light conditions. 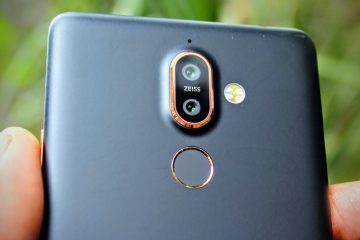 However, the icing on the cake with the Galaxy s2 camera is the video capabilities where one can shoot video in full 1080 HD which puts it in a whole new category of quality. Memory – The Galaxy S2 comes with 16GB of memory on-board which can be expanded to 32GB of memory via Micro SD card. This means that you can store full length movie and lots of apps with ease. Battery Life – I was pleasantly surprised with the Galaxy S2 in terms of battery life. Unlike the Galaxy S which drains batter life in no time, the Galaxy S2 seems to manage power consumption better and I was surprised to see how much 3G time I would get on it. It worked for hours on end with no need to recharge intermittently during the day. Music – music on the Galaxy S2 was good, but not great. The controls for sound and all worked for me but I still found that I preferred listing to music on my iPhone when in the gym. There is nothing really wrong with the Galaxy S2 when it comes to music but I still think Android needs improvement in this area from a software perspective. Social Networking – when it came to social networking, I found using the standard Android Apps for the likes of Facebook and Twitter to work best for me. I have never been a fan of Samsung’s proprietary SocialHub and I think they should drop it altogether in favour of the Android Market Apps. My 2 cents that is. Work – I used the Galaxy S2 for all my business and work related tasks such as email, calendaring, etc. 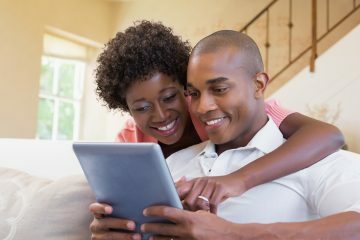 It worked well for me and now that I have synced all my accounts online with Google, I really was able to work on the move. The applications available meant I could easily open work documents and also edit them too. A big factor here was the large screen on the Galaxy S2 which really makes it easy to work on documents on the move. Microsoft Exchange Sync worked well and I was able to get all I needed that I would normally get on my Macbook to work. Networking – The Galaxy S2 supports full HSPA+ 21 Mbps data connectivity on your mobile network. I did not get a chance to test this speed so regular 3G worked just fine for me. In addition, I was able to use it on WIFI and EDGE quite well as well as Bluetooth for connecting to devices was a synch. I also managed to use the Galaxy S2 a couple of times a WIFI hotspot and the only caveat in this case was that battery life was heavily compromised when connecting multiple devices. There are many better and more detailed reviews of the Samsung Galaxy S2 that you can find online. 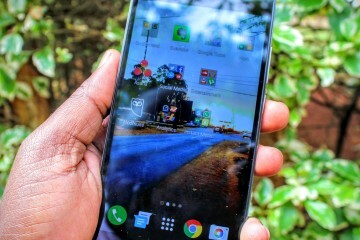 In this case, I wanted to share my “brief” experience on the Galaxy S2 from a “highlights” perspective and from what I can tell its the best high-end Android smartphone available in Kenya today. It will be a few months before the Apple iPhone 4S makes its way to Kenya and by then I would expect there should be additional Android alternatives to the Samsung Galaxy S2. However, for the time being, price being no object, go out there and pick up the Samsung Galaxy S2 for a really slick high-end Android phone – you will not regret it! Safaricom 3G vs Orange 3G - Who is faster? First, pole for your loss. Good to hear the battery life is improved, but could this be down to it running Android 2.3 AKA Gingerbread? Also would you say it gave you a full day of mixed use? @brian it worked well all day, with mixed use. i wish you could have shed a little more light on the battery life. like can i get through a whole day of medium heavy usage. meaning i got my push service on specifically facebook,tweeter,whatsapp and email. and im on 3G. Can it be updated to include the Ice Cream software? @lou I am sure this will be possible soon.